The Lungbursta is one of my favourite Epic Ork vehicles. 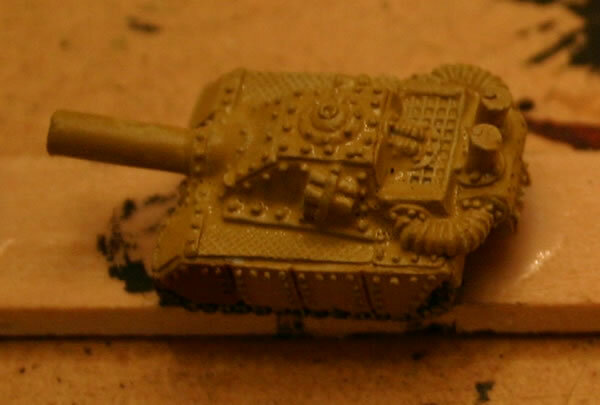 There is something very *normal* about it which I like compared to other Ork vehicles. 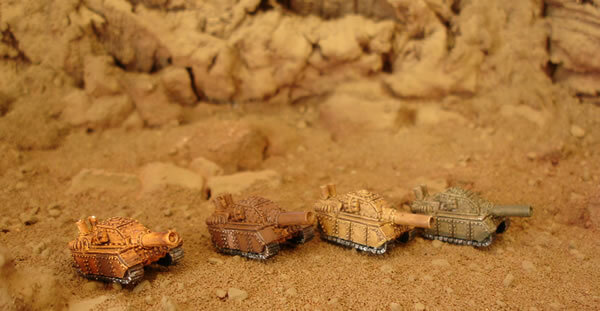 I found I had some spare models and I am painting them up in desert colours to match my current Epic painting. 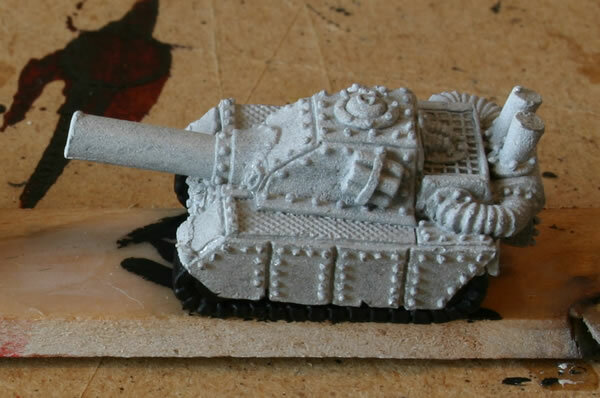 The first stage is painting the metal parts in black. The next stage will be painting the basecoat. They are going to be in the same paint scheme as my more recent models. I really like this model, the detail on the casting is excellent and in some ways better than current models. Note the paint is still a little wet in that picture. Though not quite finished, here are my Lungburstaz which after their base coat have had a wash of Chestnut Ink, Scorched Brown and water. 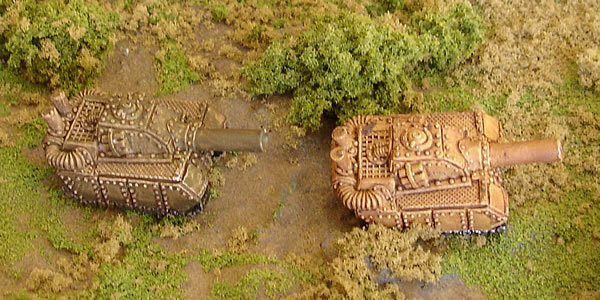 One of the things about these older models is that they are made with a softer metal, which though great for conversions is susceptible to knocks and even just pressure. I caused a few mishaps with mine when I was getting them off the wood stick I had glued them to. 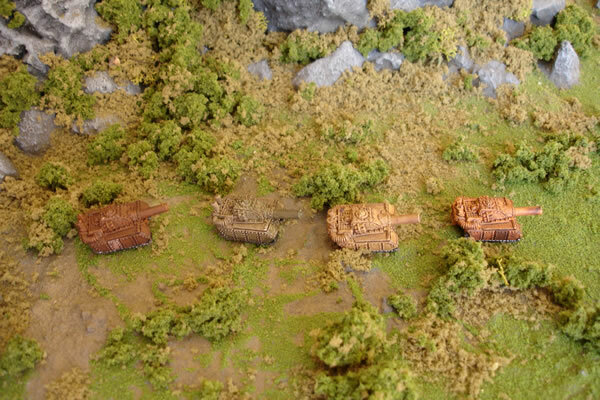 Though the last picture was of them in a green and pleasant land, here are my Lungbursta in their desert environment which really shows off their desert camouflage.